P4ML, a division of EireChrom, are an ingenious Irish company offering genetic analysis and testing services to clinicians and healthcare professionals. EireChrom were the 2016 recipients of the Design Partners Award at the NPA Innovation Area, from which P4ML evolved. 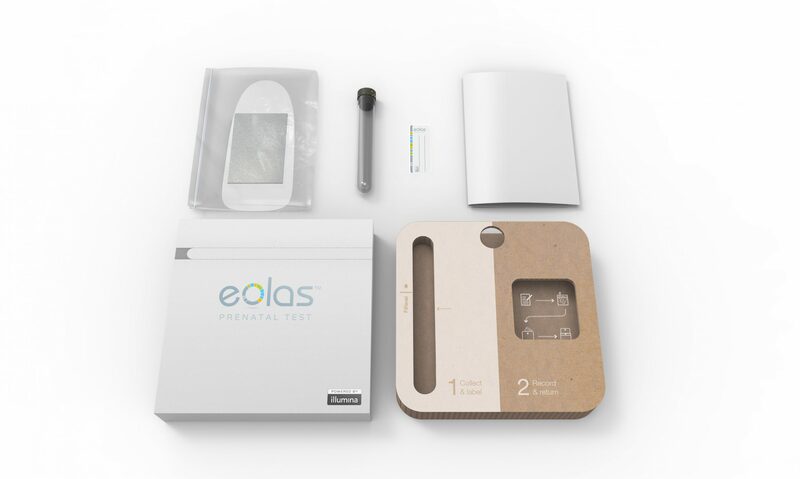 Design Partners were tasked to create a user-centric packaging design and optimise the out-of-box experience for the launch of the Eolas prenatal test. 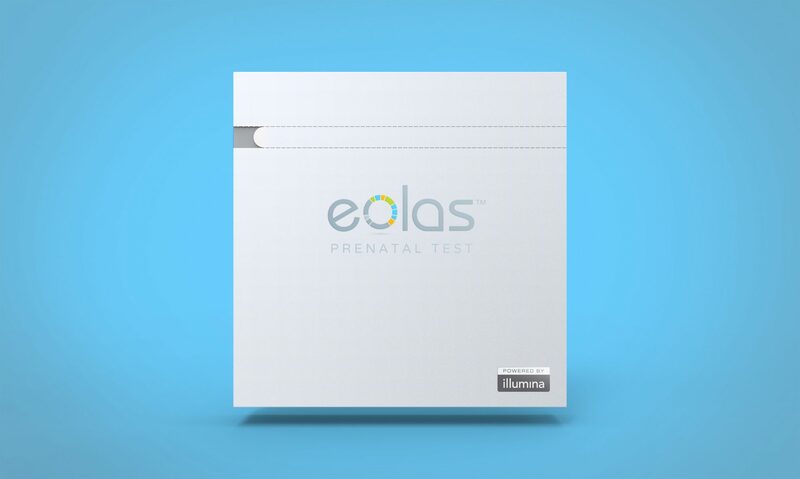 The Eolas test enables clinicians to provide expecting mothers with advance screening for a range of genetic diseases. The insights from the genetic analysis are empowering healthcare professionals to make better judgements for patients and give earlier, more effective treatment options. A patients’ genetic data is the most personal data of all and when they entrust a clinician with a sample for analysis they need to know it is being processed in a careful and professional manner. P4ML’s objective was to ensure the Eolas prenatal test would be recognised as the right choice among a growing number of options. To achieve this, P4ML need to build trust with the clinician, and in turn the trust between patient and clinician. Design Partners set out to design a new test experience that supported the building of these key relationships, by minimising the risk of error, reducing the possibility of a stressful re-test, and emphasising patient and data care through all aspects of the experience. Design Partners approach was to identify the important points of the clinician’s workflow to provide them with what they need and when they needed it. The very first glance at the kit contents provides a clear and simplified task overview, so the clinician doesn’t have to second-guess how to perform the sample collection. The risk of missing an important step or instruction is removed, as is the need to spend valuable time searching for test kit items. Design Partners achieved this clarity of first impression, by housing each test item separately within the kit package. Through building, testing and iteration of mock-up models, the visual hierarchy was tuned to the workflow, to respect the way clinicians work and to provide guidance without being prescriptive. To make the necessary instructions impactful and effective, they were designed to be as graphical and minimal as possible, with instructions quick to read and easy to understand. The primary cause for a retest was identified as failure to collect sufficient sample. This was addressed through the strategic prominent positioning of the sample collection tube, so it immediately draws attention once the kit is opened. By pairing the tube with bold, in-situ graphics in the kit, the correct sample quantity was clearly communicated. The packaging materials were chosen to communicate the security of the contents within; each sample returned to P4ML is snugly tucked into a pocket in the corrugated cardboard tray and the entire package is sealed with a tamper-proof adhesive strip to ensure safety in transit. P4ML’s Eolas prenatal test is a clear and simple to administer test and sets a new standard for patient sample collection and care. By taking a considered and supportive approach, P4ML will build a strong relationship of trust with healthcare providers, clinicians and patients alike and pave the way for further generations of targeted genetic tests.